Updated Friday April 5, 2019 by Nashua Cal Ripken. A valid Visa or Mastercard to process your payment. Debit cards are accepted if used as a credit card. Checks are also accepted. Payment must be completed before your child is considered registered. A registration slot will not be reserved until your payment is processed. Orders in the shopping card are not considered paid. If you pay by check, your order will be completed once your check is received and processed. During registration, one Parent/Guardian account will be created. Please be sure to add additional Parents/Guardians as this information is necessary for us to keep you informed of league events and in the rare case of an emergency. 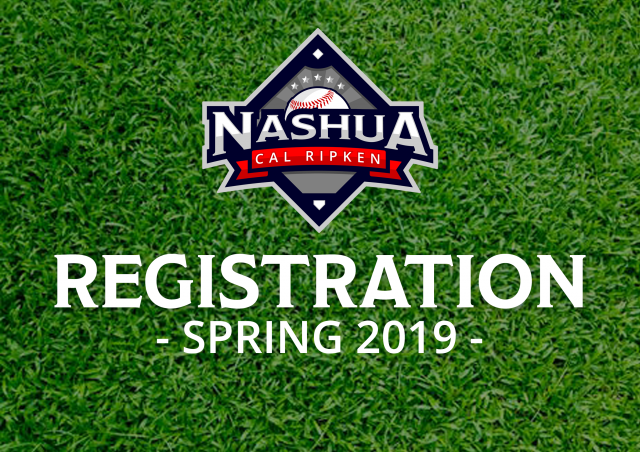 Nashua Cal Ripken reserves the right to deny any player or family registration rights if they are in violation of the league Code of Conduct in previous seasons. In the event that registration is denied, a full refund will be issued.